Gold, Light Purple & White Pearl bracelets. MAKES LOVELY GIFTS! Beautiful & Stylish in their own light. Even more stylish when worn as a set! 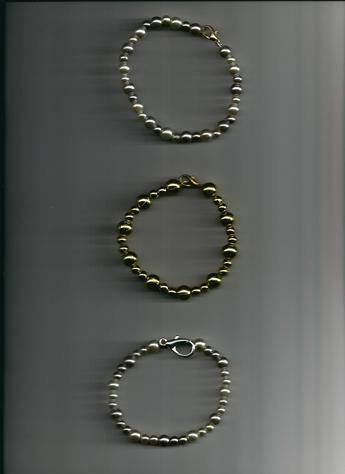 2 LIGHT PURPLE & WHITE PEARL 6-inch, gold-plated wire & gold-plated, easy-to-use clasp bracelet $25.00 + $6.80 shipping.